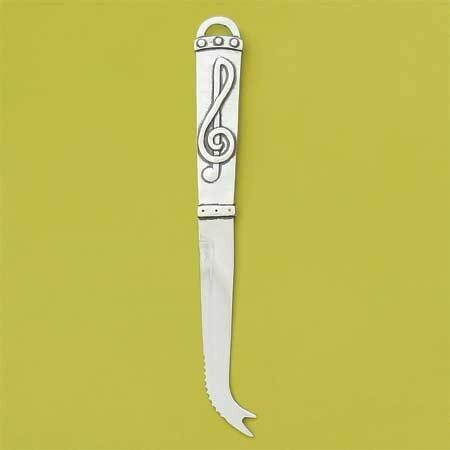 Treble Clef Cheese Knife – Calling all cheese lovers, this one is for you! Featuring a handcrafted pewter handle with a musical treble clef and a stainless steel blade, this unique knife is tailor made for cutting up cheeses and charcuterie. A fun gift idea for the musician or music lover who also considers themselves a foodie. 8.25″ in L.